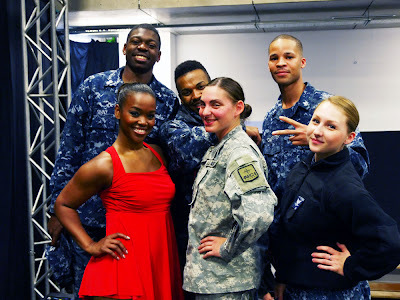 Capitol Movement 2012 Freedom Tour: Obrigada to our US Troops in Lisbon, Portugal! 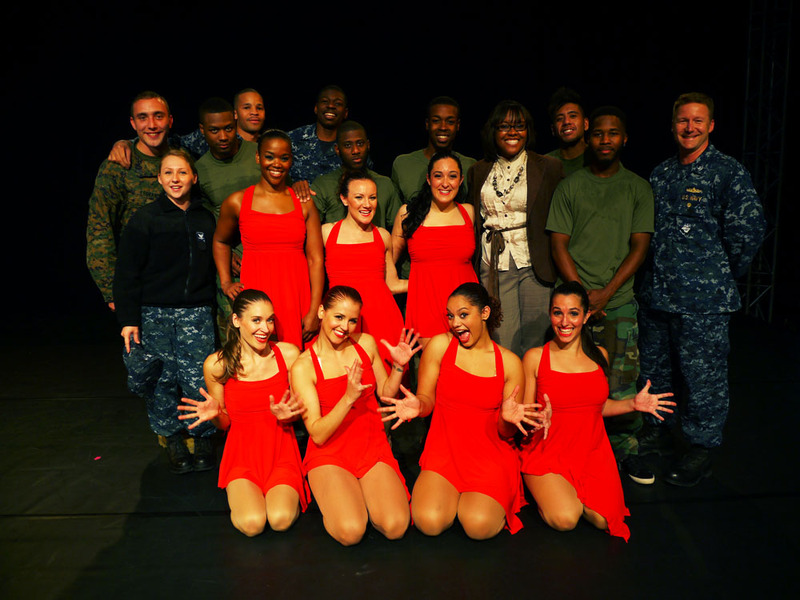 After two successful shows, we were so excited to arrive and perform for our US troops in the scenic city of Lisbon, Portugal. Although a little bit nervous in a new city, I knew that my fellow performers and I were safe and awaited making new military friends. Upon arrival, Cashanda Barron graciously greeted the Capitol Movement performers and me with immediate kindness and welcomed us as a new family. We felt honored to board a chartered tour bus and be accommodated at Hotel Eden, which overlooked the breathtaking Mediterranean and downtown area of Estoril, Portugal. That evening, Ms. Barron took us to a well-known authentic Portuguese restaurant called Fogo de Chao. The cuisine was amazing, and we were all very full and ready to rest up for our show immediately after a dinner of various Portuguese meats and side dishes. The following day we rehearsed and were amazed by the enormous stage and lighting that the local crew had built for the Capitol Movement show. After a long day of rehearsing and another incredible lunch, Ms. Barron escorted the group on a mini sightseeing excursion. I couldn't believe how lucky we were to be able to see so many incredible sights while on a trip to perform for our service men and women. 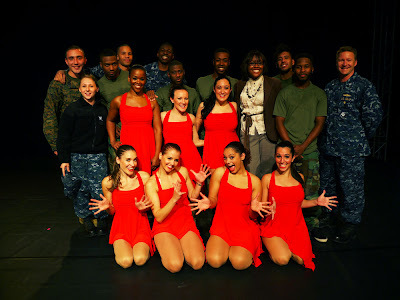 With all of the lights and the huge stage, our show was a hit, and several men and women from the base came up on stage afterwards to say hello and talk with us about home, where they were from, and where we were headed next, including one solider pictured above who was a former dancer! She joined us for dinner that evening, and we were so happy to spend time with her and a few other service members. We are looking forward to our next stop!